One of the most economical and convenient means of travel in urban areas is a scooter. It consumes very little fuel and allows you to move in conditions of heavy traffic on the roads. Thanks to its compact dimensions the scooter is very easy to operate. 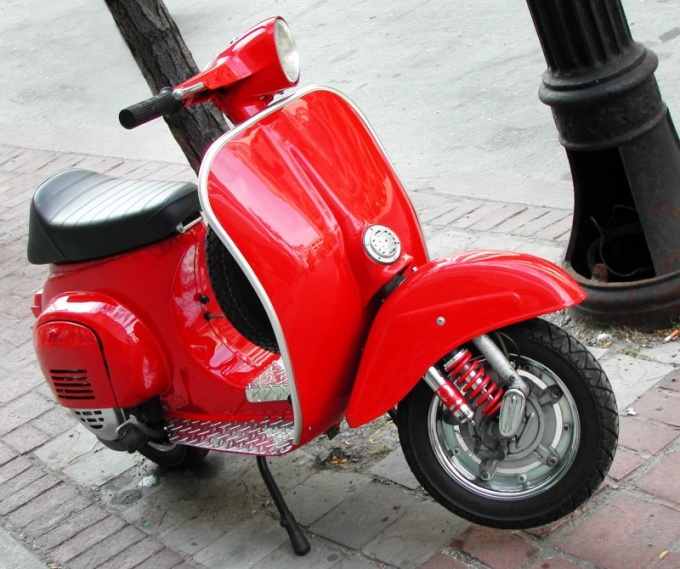 However, some of the owners during the repair of their iron horses, the problem arises, because the parts can be bought only by knowing the exact model of scooter. Carefully read the documents attached to the scooter. In them you will definitely find the exact model and modification of the two-wheeled vehicles. If you do not have documents on a scooter, you can try to identify the model by appearance and plastic tail. Go to the official website of the manufacturer. There you will see photos and specifications of the entire range of scooters. By comparison find your scooter. There are quite a number of scooters have a similar appearance, but different filling. I.e. different manufacturers and models are identical to the housing. In this case, define the exact model according to the marking on individual parts. Remove from the scooter saddle, under it look for a sign of yellow or white. It indicates the model with the modification, as well as the manufacturer and specifications. If the plate is contaminated and should be cleaned with a semi-rigid brush and a cleaning solution. Be very careful not to strip the paint, which caused the data on the nameplate. Some manufacturers write the abbreviation of the model on the dashboard. Also, the model can be calculated by the tidy, since different models of boards differ in such parameters as color, maximum marking speed dial, the arrangement of the scales relative to each other. Remove the gear cover, which is located near the rear wheel under the air filter. To do this, Unscrew all the bolts that secure the cover to the housing. Under it you will find the marking embossed on metal, which means the number of the piston system. The first four characters are the model of scooter. Locate the frame number of your scooter. Usually it is located under the plastic tail, which must be carefully removed by removing all screws and disconnecting the fasteners. The first four characters, duplicate the model name of your scooter. If by yourself identify your scooter does not work, take a few photos of the machine in different angles and place them on a special forum dedicated to two-wheeled vehicles. Experienced forum users will be able to help you figure out the model. Contact a special organization, which would examine and give you a conclusion. It specifies your model, labelling each node of your scooter. Some scooter often question the information about the year of issue of the scooter, which is specified in the vehicle passport (PTS). Particularly acute this issue is of concern to those who want to purchase a new scooter at the beginning of the new season in dealerships. In these centers, according to scooter, there is an agreement with the customs. For scootersthat were not sold last season, dealers receive a new title from customs, where is specified a fresh year of issue. True or not, still remains a mystery. Specify the serial number of the scooter. It is indicated in the front part of the PTS in the line "Identification number (VIN). This number (VIN) must consist of 17 characters ( Arabic numerals or letters), which are roughly divided into three parts: the index part, a descriptive part and a global index manufacturer. The first three characters of the number (VIN) and are the world manufacturer index (WMI), it can be both letters and numbers in combination with letters. 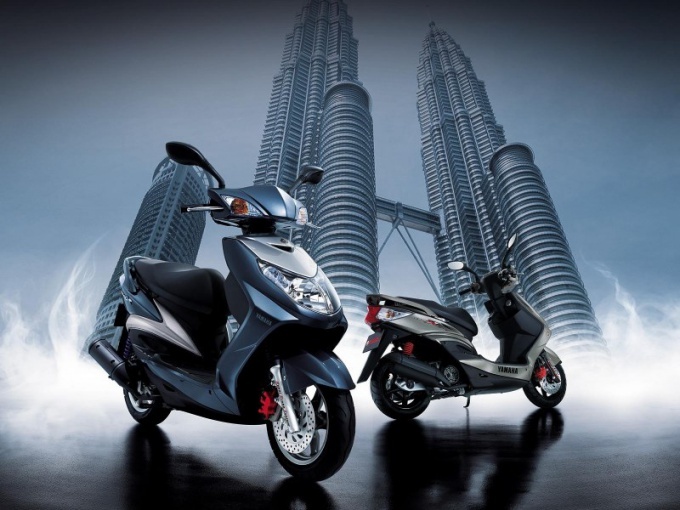 World index of the manufacturer defines the geographical area code of the manufacturer of the scooter and the code of the state. The descriptive part of the VIN (VDS) must have six characters and identify the vehicle model according to specific documentation of manufacturer. The index part of the VIN (VIS) must contain eight characters. The first four are numbers and letters, the other four digits only. Index part VIN - the index should contain information about the index number of the vehicle and the year of issue, which gets a scooter at the exit of the Assembly line. The first characters of the index part of the ID number represent the year of issue of this vehicle (scooter): the eighth character from the end or the tenth from the beginning. Example: VIN: WVWZZZ1KZBW321177. To decrypt the specified symbol in the table (Annex №2 to "to Position about passports of vehicles and chassis of vehicles" at: http://base.consultant.ru/cons/cgi/online.cgi?req=doc;base=LAW;n=112220). In the example WVWZZZ1KZBW321177 symbol "In" denotes 2011 release. It should be noted that many manufacturers of transport neglect generally accepted standards of attribution VIN number. For example, U.S. manufacturers and the largest FORD year release transportation represent the eleventh character in the VIN number.